74 pages. Volume 428, number 9112. 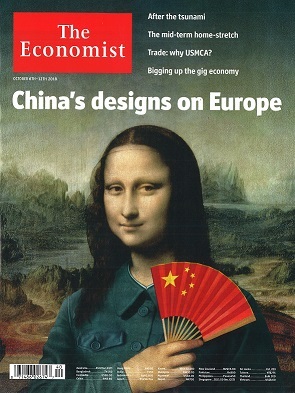 Features: *An increasingly wealthy China has designs on Europe. How should Europe respond? *Chinese investment in Europe is growing; so is its influence. The European Union is taking notice at laast *It was hypocrisy for America to "welcome" China's rise. Yet honesty may be worse.